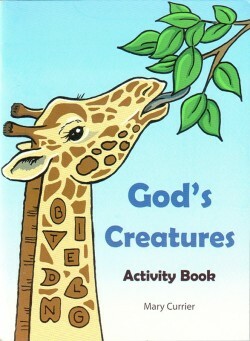 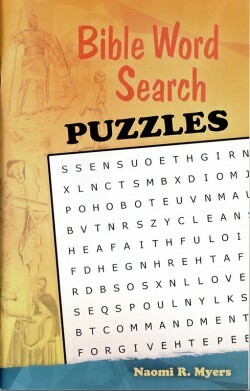 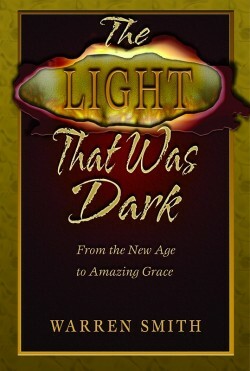 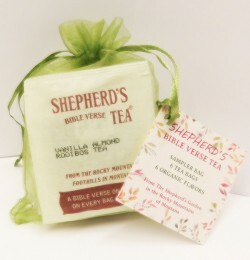 It is our prayer at The Shepherd's Garden that you will be drawn to the wonderful treasures of God's Word and will be encouraged through these Scripture verses to read more of this truth-filled, life-giving book. 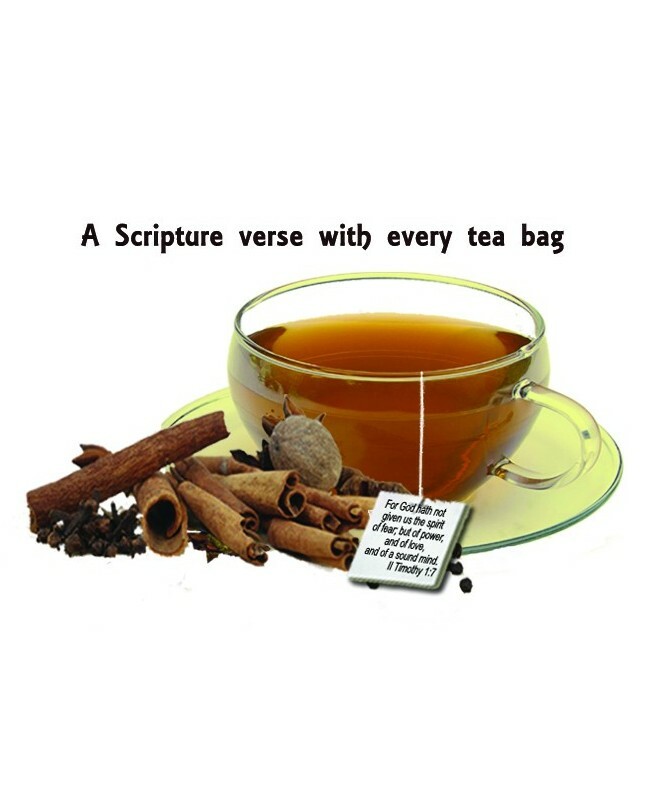 Hot Tea: Brewing Suggestions Hot Tea: Bring some fresh water just to a boil. 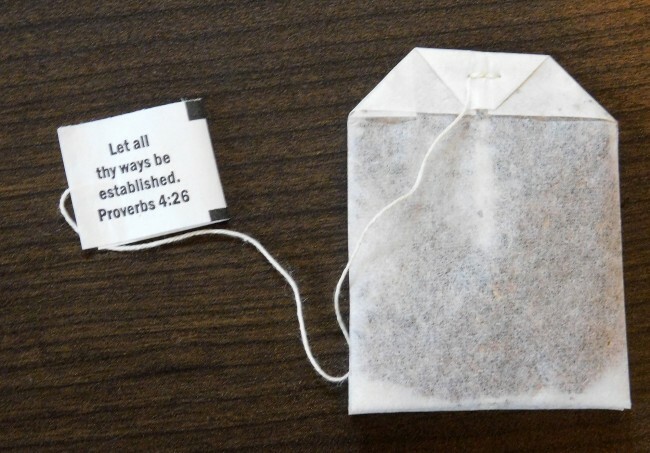 Place 1-2 tea bags in an 8-16 oz cup or mug, add the boiling water, and steep for 4-5 minutes or to taste. 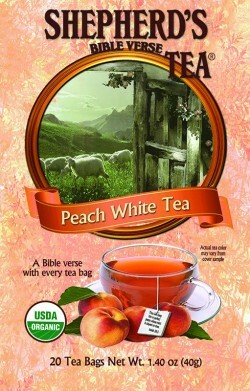 Add honey or sweetener of your choice, if so desired. 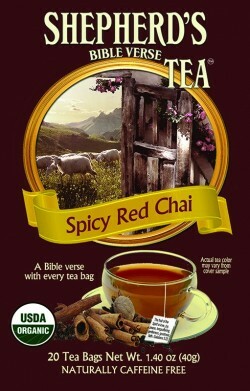 For a Delicious Dessert Tea: Add some milk, cream, or half n' half to hot tea, then sprinkle with cinnamon and nutmeg. 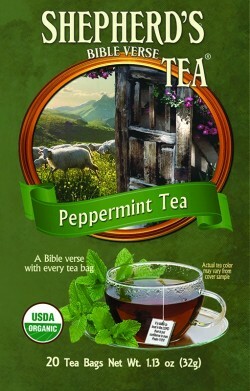 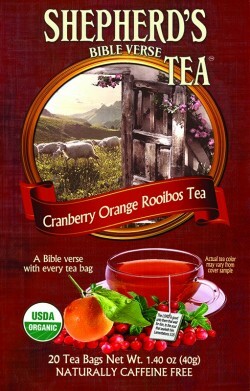 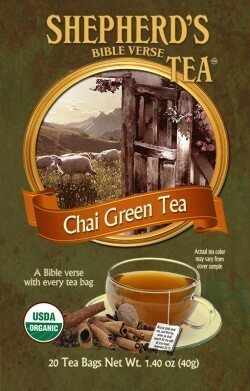 Very flavorful product for teatime with the Word! 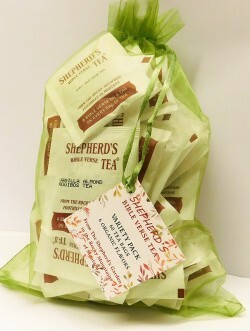 Shepherd's Tea - All Good! 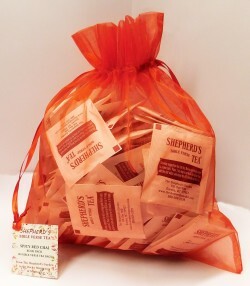 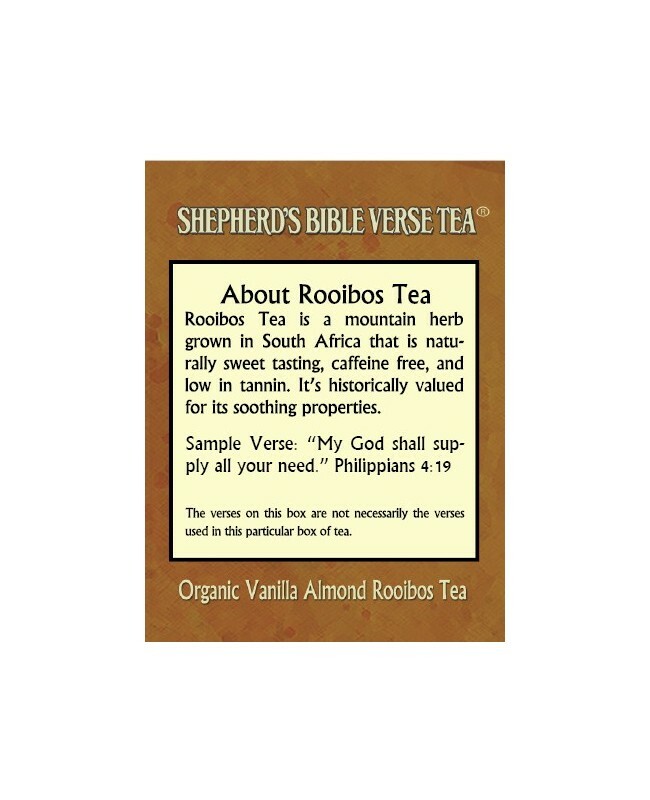 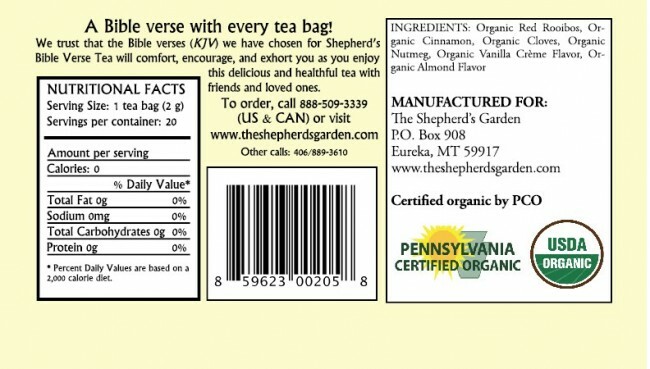 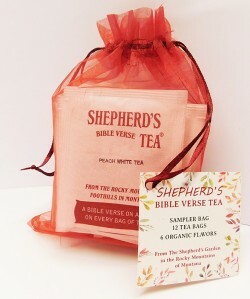 My husband and I were not tea drinkers until we discovered Shepherd's Garden. 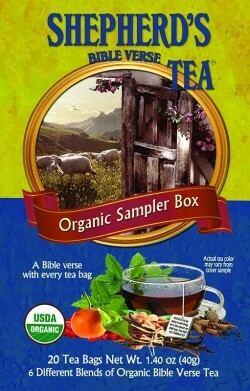 We purchased the sample assortment and found the different varieties were all good. 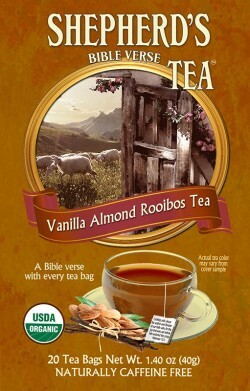 This one, vanilla almond, is a favorite - enjoyable plain, with honey, or with honey and soy milk. 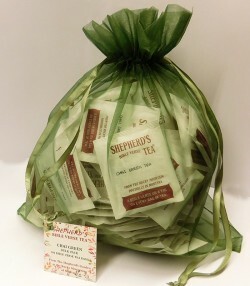 Because of the decorative boxes the tea could also make creative gifts.